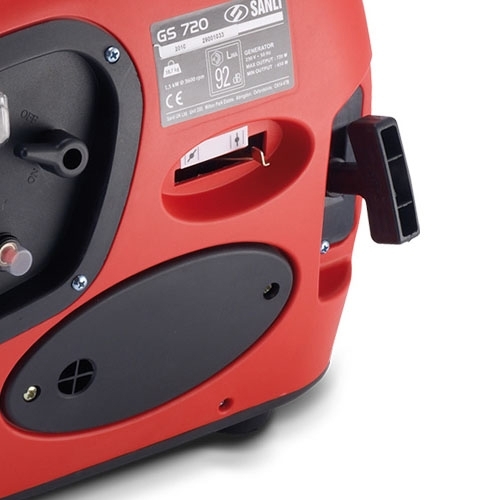 These small, compact generators offer high performance at an affordable price, weighing in at only 18.7Kg the ergonomic design makes it easy to carry, load and take this reliable little generator on days out, camping fishing or just as a backup for power cuts. 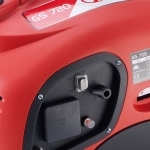 The 63 cc 2 stroke engine packs a punch, with a top end power output of 720w. The 2.6L fuel tank will keep the power running for over 4 hours, ideal for low draw electrical devices and comes fitted with a 3-pin UK Socket so domestic appliances just plug straight in, and the 230V-50Hz circuit breaker makes sure if there’s a short your goods are safe. 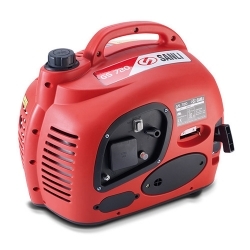 As well as being versatile and handy to have around it’s also impressively quiet, only emitting 92 dB(A) so it won’t wake the neighbours or keep the kids up, this handy little generator also comes with a 2 year domestic guarantee for peace of mind.